Businesses are coming to realize how crowdfunding can benefit them and those they serve, yet, there is still a lot of uncertainty as to how. Over the next few weeks, I’ll be sharing some case studies and stories with you to enlighten and excite you about how Crowdfunding WORX. First, what is the crowdsourcing? What is crowdfunding and if they’re they different, how? Crowdsourcing is the practice of obtaining needed services, ideas, or content by soliciting contributions from a large group of people and especially from the online community rather than from traditional employees or suppliers. While the results of crowdsourcing could result in an increase in sales, the goal is typically to increase a business’ visibility and messaging. Crowdfunding is the practice of funding a project or venture by raising monetary contributions from a large number of people [typically via the internet]. It is a form of crowdsourcing that for business includes the goal of raising capital. In 2015, it was reported that worldwide over $34 billion US was raised this way and in 2016, more than $50 billion. Crowdfunding economists predict that this means of funding for business will provide more capital raising success than through private and angel investors. They also predict that these numbers will double annually through 2020. Do you see the power of crowdfunding for business? Now I’ll be showing you ways that crowdfunding WORX, and give you some examples. Everyone has heard of Ben & Jerry’s Ice Cream. They started small, like every other small business yet, what worked for them was what I’ll show you that WORX. In 2010 Ben & Jerry’s, a for-profit business enterprise, decided to launch their “Do the World a Flavor” competition. All fans had to do was to invent a new variety of ice cream. They had to create this online via a “Creation Station”. The goal of the competition was to raise awareness for fair trade ingredients. They ended up with approximately 10,000 new flavors being suggested. All the finalists got to go on a trip to the Dominican Republic to visit a fair trade cocoa farm. The winning flavor was produced as an official ice cream. So why did Ben & Jerry’s go this route? Well first they wanted to enhance their fans creativity, and just see what regular ice cream lovers would choose as new flavors. Plus it was just a fun thing for customers to participate in. Ben & Jerry’s viewed this competition as a huge success. They loved seeing how many fans took the time and effort to come up with new flavors and names for ice cream. What better way to get your market working with you? And did sales skyrocket?? Of course. 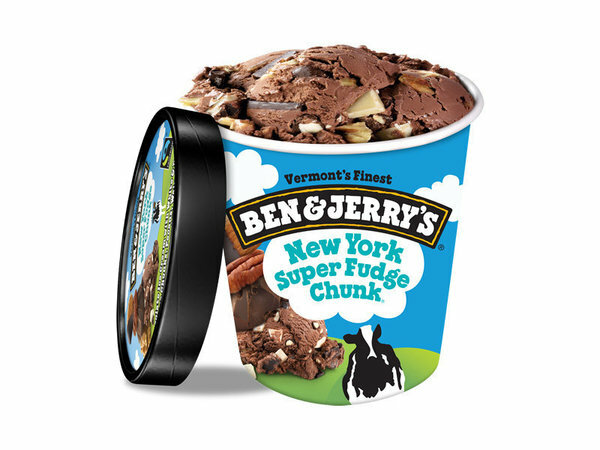 Ben & Jerry’s is the perfect example of how you can bring creativity and innovation into a marketing idea and get amazing results. What did they have that made this a bigger success? A team! That’s how Crowdfunding WORX!! Want to know more about how crowdfunding can work for your business? Use crowdfunding to raise capital for your program, product, or business growth. It WORX! Tune into the Crowdfunding Hacker TV Show launching soon. We focus on showing you how to create the vision, craft the messaging that is the voice you can use and increase your visibility while you increase your profits.